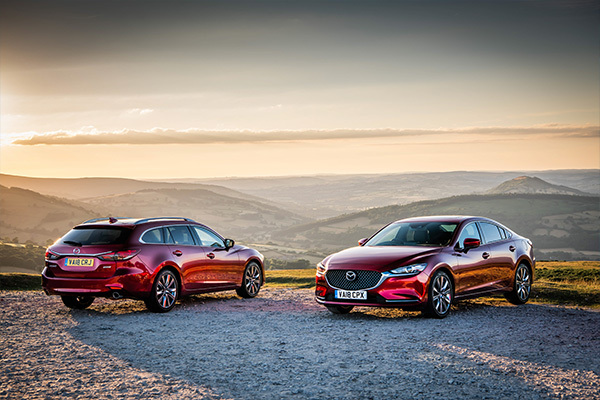 With the new Mazda6 Tourer having made its world debut at the recent Geneva Motor Show, Mazda has announced UK pricing and specification for both the Saloon and Tourer versions of its flagship model. Featuring an upgraded cabin, revised styling and enhanced technology, plus the UK debut of Mazda’s cylinder deactivation SKYACTIV-G 2.5-litre petrol engine, the updated Mazda6 also sees the popular SKYACTIV-D 2.2-litre diesel engine benefit from a power upgrade to 184ps. Priced from £23,045 to £32,795, the combined Tourer and Saloon range features 24 models across four trim levels: SE-L Nav+, SE-L LUX Nav+, Sport Nav+ and GT Sport Nav+. 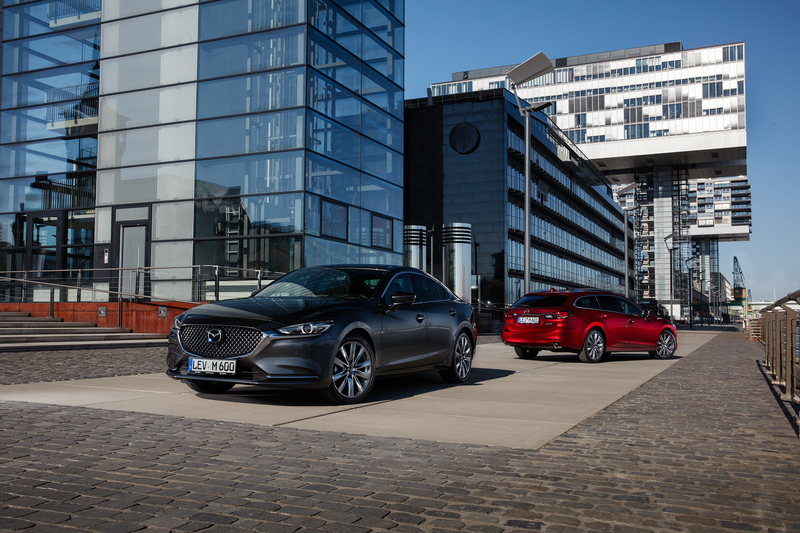 Matched exclusively to the new range-topping GT Sport Nav+ trim, Mazda’s 2.5-litre SKYACTIV-G engine makes its UK debut in the Mazda6. With a cylinder deactivation system, this direct-injection four-cylinder engine seamlessly switches between four and two-cylinder operation to improve real-world fuel economy at no cost to performance. 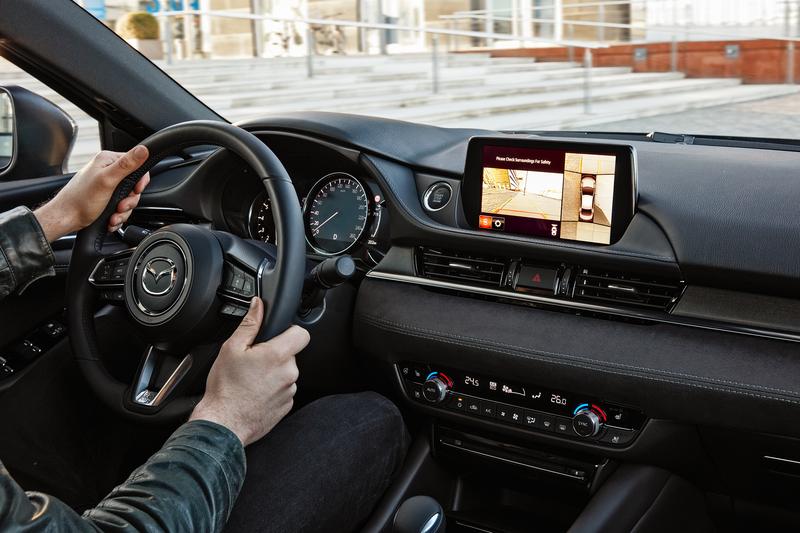 Fitted in the large CX-9 SUV, and the award-winning CX-5 in certain global markets, the 2.5-litre SKYACTIV-G makes its UK debut in the new Mazda6 where it’s paired with Mazda’s SKYACTIV-DRIVE six-speed automatic gearbox in both Saloon and Tourer models. 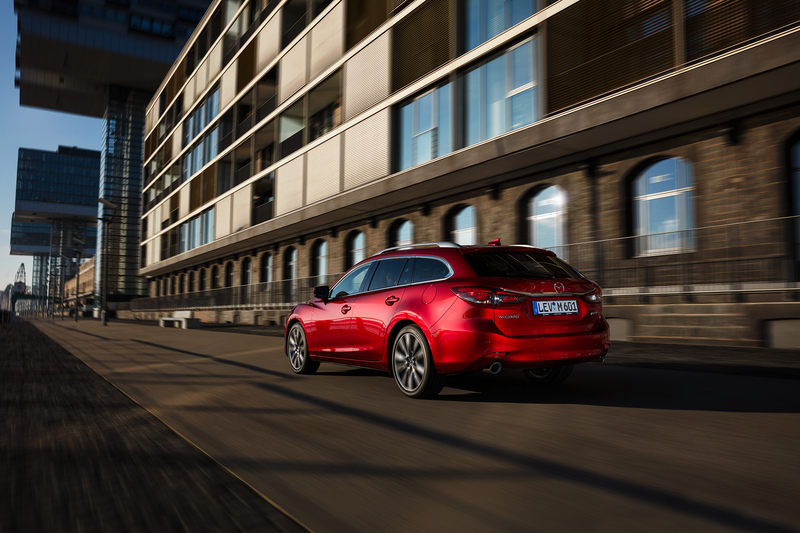 “With new powertrain technology, fresh premium design details inside and out, revised model grades and more standard technology, the new Mazda6 is a thoroughly re-engineered and refined update of our stylish flagship,” commented Jeremy Thomson, Managing Director Mazda Motors UK. 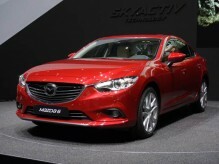 There’s also no mistaking the visual enhancements that mark out the latest Mazda6. 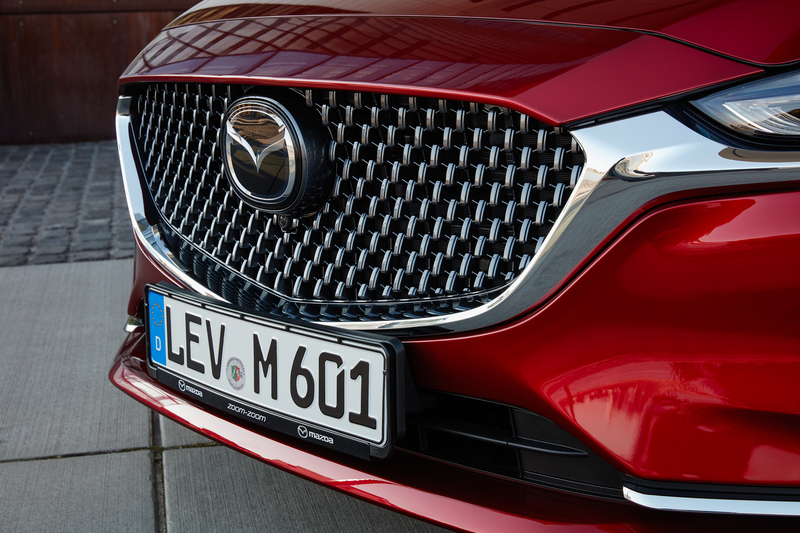 The 2018 car adopts a fresh frontal design focused around a new grille, which has the mesh positioned deeper within the surround to create a more sophisticated and muscular face. The revised LED headlamps integrate signature wing tips from grille surround to underscore their predator style, and with the front fog lights now incorporated into the headlight cluster, the redesigned lower bumper features a sleeker profile and an aerodynamically efficient air intake. At the rear, the Saloon has a remodelled boot lid, while both the Saloon and Tourer feature cleaner rear bumper styling with more body coloured areas. Topping off the styling updates are new alloy wheel designs and the introduction of Soul Red Crystal paint, which thanks to Mazda’s unique three-layer TAKUMINURI painting technology increases brightness by approximately 20 per cent and depth by 50 per cent, compared to previous Soul Red Metallic paint. 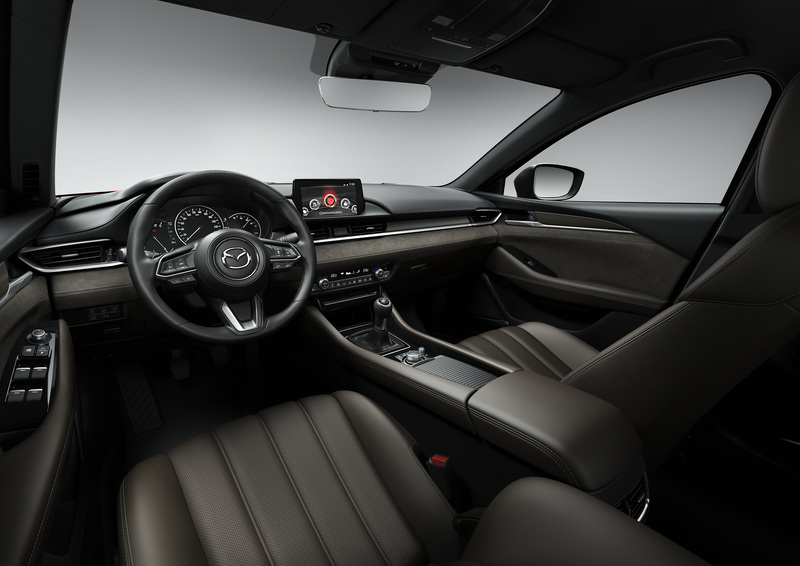 Step inside the new Mazda6 and the updates are even more evident. New materials and technology combined with refinements to the cabin design deliver an understated sense of luxury. With fine craftsmanship applied to every detail, highlights across the range include the introduction of a larger eight-inch centre display screen, a seven-inch TFT LCD positioned in the driver’s instrument binnacle and the adoption of a full colour windscreen projecting Active Driving Display. The dashboard and door trim designs have been redesigned, seat comfort has been improved and the flagship GT Sport Nav+ features Mazda’s signature high-end interior finishes including real Sen Wood trim, Brown Nappa leather and suede to deliver a cabin that fuses modern technology with the beauty and simplicity of traditional Japanese craftsmanship. In addition to the new 2.5-litre SKYACTIV-G engine, which features cylinder deactivation that will switch off two cylinders between 25 and 50mph to improve efficiency, the 2.0-litre SKYACTIV-G has been enhanced with new intake ports, new pistons and revised fuel injection and cooling. 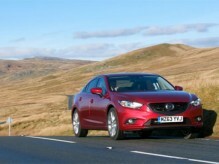 Plus, the popular 2.2-litre SKYACTIV-D diesel now produces 184ps (up from 175ps) in its highest state of tune. 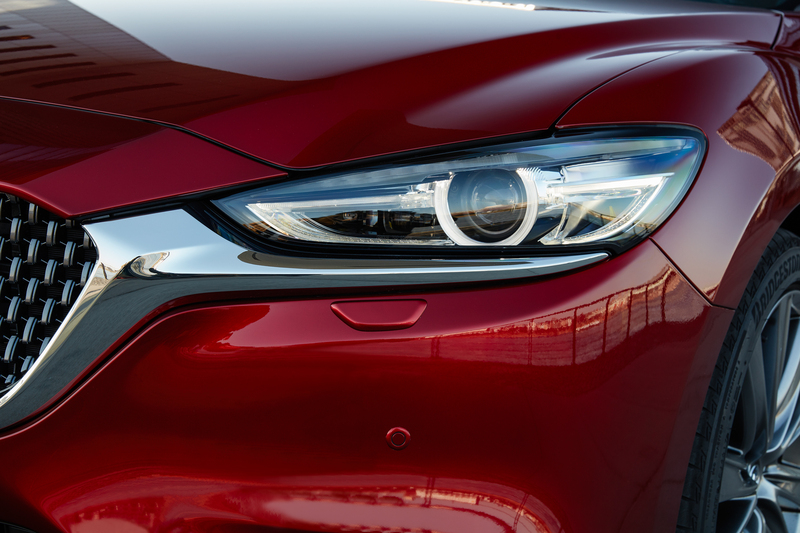 Designed to improve ride comfort at the same time as maintaining the Mazda6’s famed driver engagement, the new Mazda6 benefits from suspension fine tuning and component upgrades. Bump stop characteristics have been revised, the front dampers have increased in diameter and rebound springs have been added, while a new urethane rear damper top mount has been fitted, all resulting in smoother vehicle behaviour and improved ride quality. In addition, the steering knuckles have been lowered for more neutral steering characteristics, while to ensure a more precise response to subtle steering wheel actions, rigid mounts now attach the steering gear to the suspension cross-member. As you’d expect for a car in this segment, improved refinement has also been a focus with the addition of thicker floor and rear wheel housing noise insulation panels, plus body reinforcement in places where vibration can penetrate the cabin. New vibration absorbing material has also been added to the centre tunnel and the roof lining. A flatter underbody, plus new bumper and engine undercovers streamline airflow under the car, while ducts introduced in place of the fog lights in the front bumper create a flow of air to the front wheels improving aerodynamic performance. 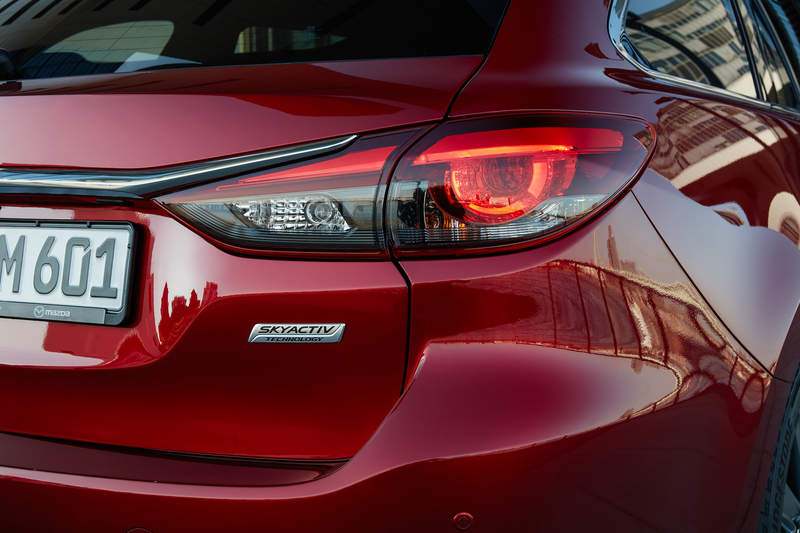 SKYACTIV-G models are also fitted with an active air shutter that closes when the engine does not need cooling to improve real-world efficiency. 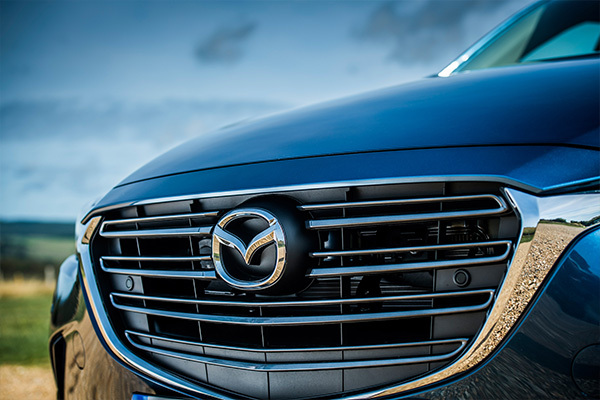 With an increase in standard active safety equipment across the range, all models now feature a huge range of advanced i-ACTIVESENSE technology including Blind Spot Monitoring with rear cross traffic alert, Mazda Radar Cruise Control, Lane Keep Assist and Advanced Smart City Break Support. “On sale this summer the new Mazda6 is another example of Mazda’s continued drive to deliver stylish, great to drive, high-quality cars that offer a unique form of Japanese inspired style and elegance. 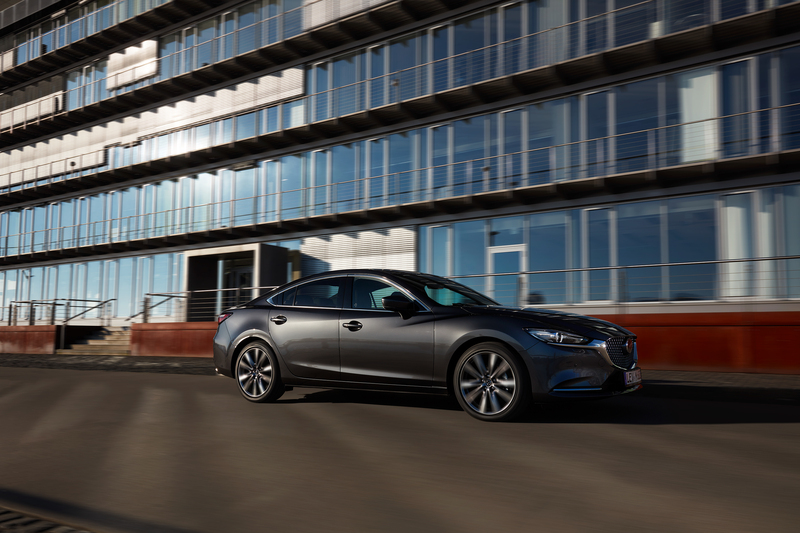 With more technology and equipment than ever before, plus upgrades to engines and refinement I’m sure the Mazda6 will be more popular than ever with both fleet and retail customers”, commented Peter Allibon, Sales Director, Mazda Motors UK.